Join Blue Star Connection in one of our biggest projects yet! 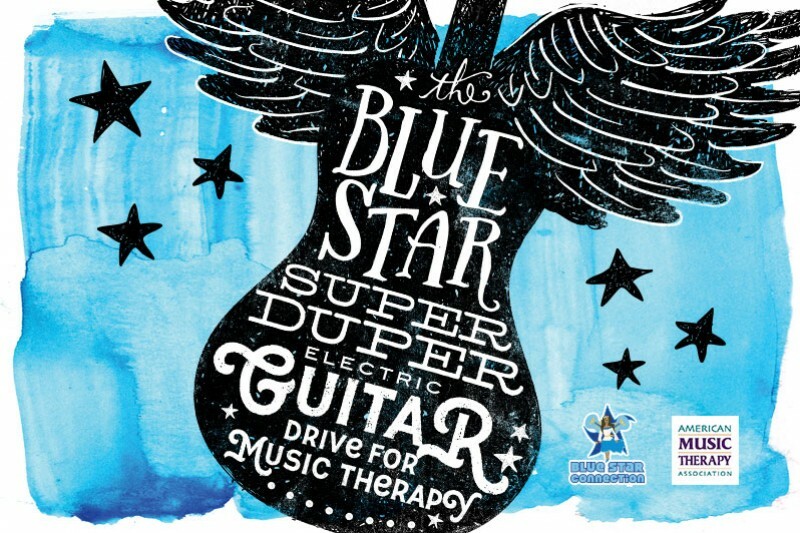 My name is Sadie Johnson and on behalf of Blue Star Connection, we would like to introduce to you our Blue Star Super Duper Electric Guitar Drive! Blue Star Connection is a non-profit organization based out of Colorado. Since 2005, Blue Star has supplied music instruments to children with life-threatening illnesses. Additionally, we support music therapy programs in children's hospitals throughout the country. Last November, John Catt, founder of Blue Star Connection, donated 40 electric guitars, amplifiers, straps and guitar stands to the American Music Therapy Association's (AMTA) Annual Conference in Kansas City. This year, Blue Star Connection has set our sights high to raise enough money and to collect enough instrument donations for 150 electric guitars! These guitars will be distributed at the AMTA Conference this year in Sandusky, Ohio to the Music Therapists. Our deadline is October 19th. Please help us reach our goal of $15,000 so we are able to keep on spreading the gift of music throughout music therapy programs across the country. John Catt has dedicated his life to changing lives with the gift of music. He has done that. Join us in continuing his mission and meeting this challenge. No donation is too small. Please check out website and FaceBook page with further details of the event and about our organization! I am OVERWHELMED with the amazing support we have seen in the past few days. You guys are AMAZING! Thank you so much for your donations. Every $100 will be able to buy a guitar or amp. We are up to almost 600 shares as well. Thank you for helping us get the word out. Everyone here at Blue Star Connection is incredibly grateful for the support and love. Wow!! Over $4,000 raised. Let's keep this going!! Thank you so much for your amazing donations!! We are so grateful for this amazing community that surrounds Blue Star Connection and the music therapy world. Keep on spreading the word. Let's reach our goal! I may have a new in the box guitar and amp to donate. Where would I send it? One guitar and amp from me. In honor of the hard work of John Catt and all of the GCBS board members. Do it for John; he deserves the support of all who attended his concerts and all of Grand County who's economy benefitted from his hard work.